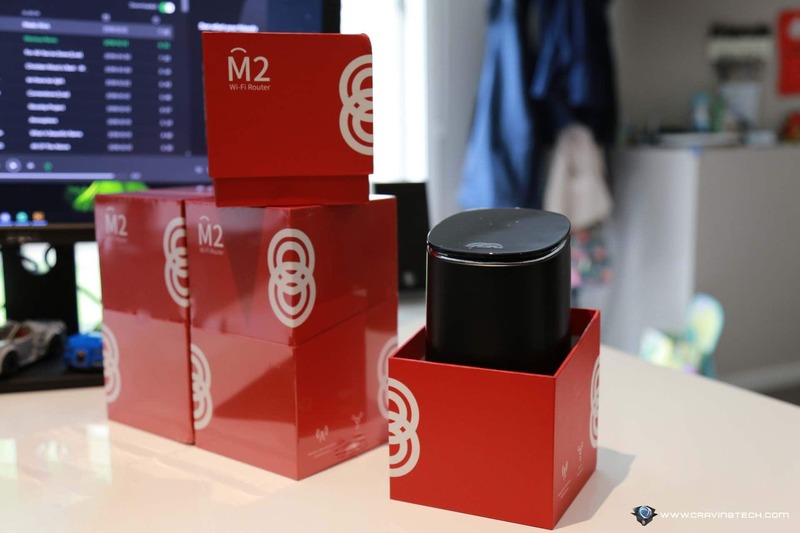 Mercku M2 Swarm Review – If you have ever experienced a weak Wi-Fi signal, you will need to consider this new Mercku Swarm system. 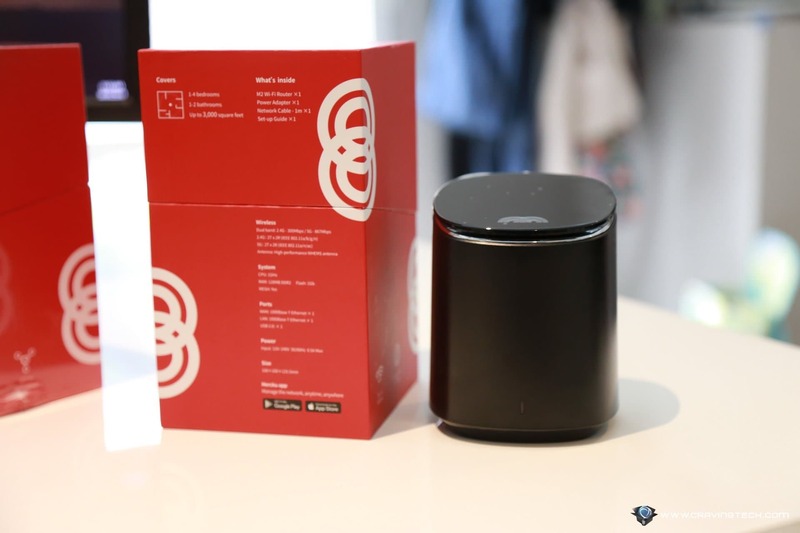 Basically, it’s a Mesh Wi-Fi system where it extends your Wi-Fi connection to every corner of your home. 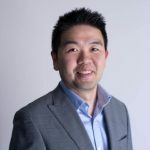 Mercku was initially started as an Indiegogo project and founded in Canada. Evidently, it succeeded in securing the funds beyond their expectation. They have two product packages available. One is the M2 Hive System (one M2 router and four M2 Bee Nodes), is ideal for homes/offices with many walls. The other is M2 Swarm System (one M2 router as the queen and two M2 routers as the nodes). This one is more for bigger homes/places with open spaces. The one that I’ve got here is the M2 Swarm System (RRP $499). So you get three separate red boxes for each M2 router. Of course, since this is a modular system, you’ll be able to add more nodes as you see fit (especially if you live in a big house). Each M2 router is powered by a 1GHz CPU, 128MB of RAM, 1GB flash memory, plus a high-performance WHEMS antenna. It’s a dual-band AC1200 system that supports up to 300Mbps for the 2.4Ghz and 867Mbps for the 5Ghz. M2 Swarm System claims to cover up to 557 m2 which is sufficient for my 4-bedroom house (around 460 m2). I’ve been using this for the past week and I will give my verdict at the end of the review. 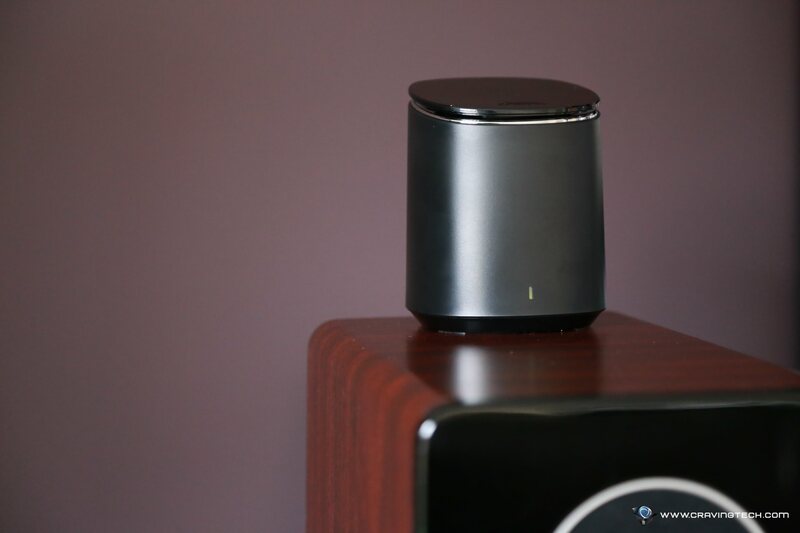 The first impression, the M2 routers look like a smart speaker to me. However, I must say it’s quite stylish and doesn’t look out of place at all wherever you put them in your home. Setting up this system is a fuss-free process, I’d wager that anyone without any IT background can install this easily. 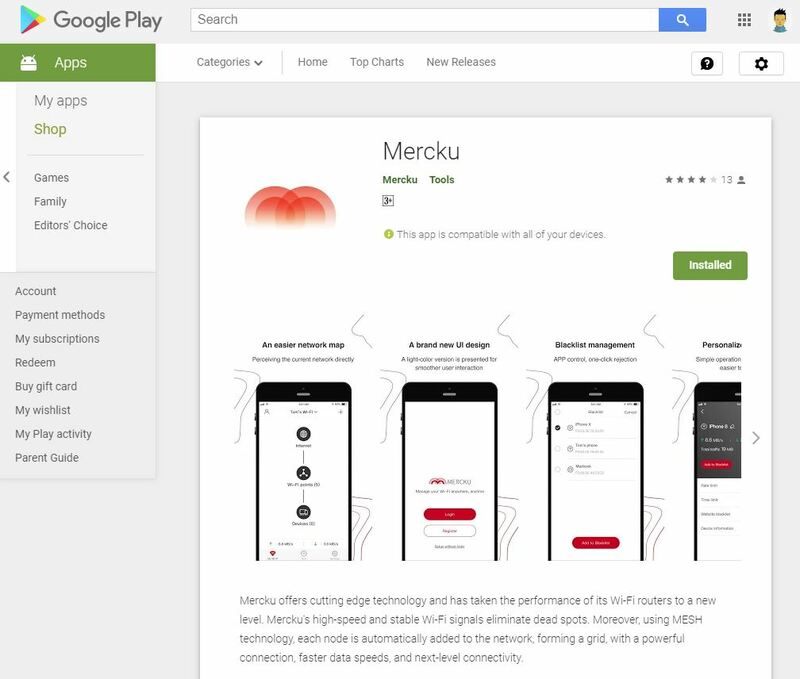 Firstly, you’ll need to install Mercku App (available in both Android and iOS). Next, you register as a new user, and oddly you’ll need to enter your mobile phone for this process which I find a little bit unnecessary. Please note that I’m using the Android version of the App, and it’s intuitive enough as I didn’t have any problems with it. Then you set up the first M2 router (just pick any will do) as the main router by plugging the supplied network cable to the WAN and your modem. Then, you’ll be able to add the other two as nodes and place them within your weak Wi-Fi area at your home. I placed one node in my dining room since it’s located at the center of the house. And I place the other one in the home theatre room, located at the back of the house which certainly needs the signal boost. Once you’ve successfully added those nodes, you’ll see them here and the LED light will turn green on your router (which means there is Internet connectivity). Plus, you can also know if any of the nodes is having difficulties in connecting to the main router. 1. You can see who’s connected to your Wi-Fi. 2. You can check whether your internet is down or not. 3. You can do a Speedtest. I did a quick speed test via the App and it was reasonably fast (given the fact that I’m using regular ADSL connection). It’d be interesting to test the speed once I’m connected to NBN in the near future. 4. You can set a rate & time limit, and blacklist websites for your connected device(s). 5. You can perform a firmware upgrade for your M2 routers. All right, let’s talk about what really matters here: COVERAGE. So far, I’ve tested it in many different rooms across my house and I couldn’t get anywhere with weak Wi-Fi signal anymore. 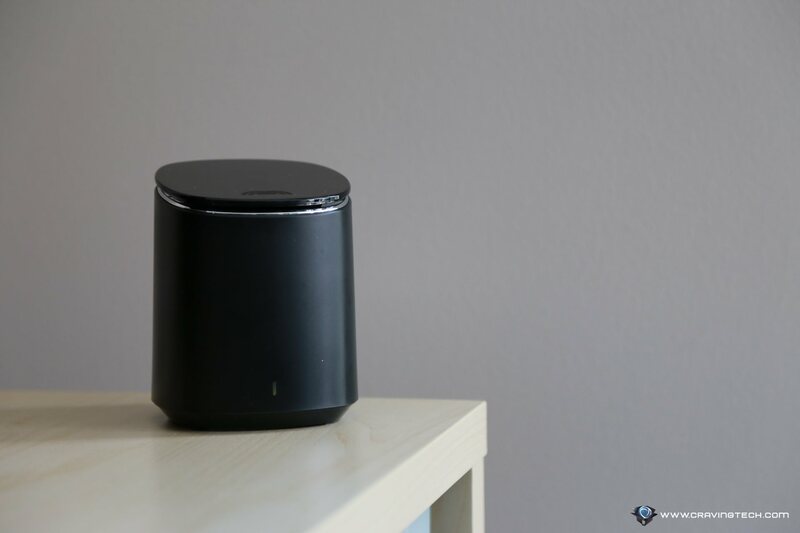 I certainly am satisfied with the new Mesh Wi-Fi system as I’ve always had a weak Wi-Fi signal issue in the past. I’ve even tried using a Wi-Fi extender in the past but I ended up didn’t use it after all because it requires me to switch to a different Wi-Fi network. However, one thing I noticed is that the speed is not as fast as my Wi-Fi from my D-Link Viper AC1900 modem router. Maybe it’s because my modem router is AC1900 (compared to Swarm’s AC1200). 1. Easy to setup. It took me less than 10 minutes to configure. 2. App is intuitive. The app is easy to use. No need to read any manuals for that. 3. Great coverage. It lives up to its expectation by covering my entire house sufficiently as claimed. 4. Modular. You can add more nodes as you go. 5. Small size. 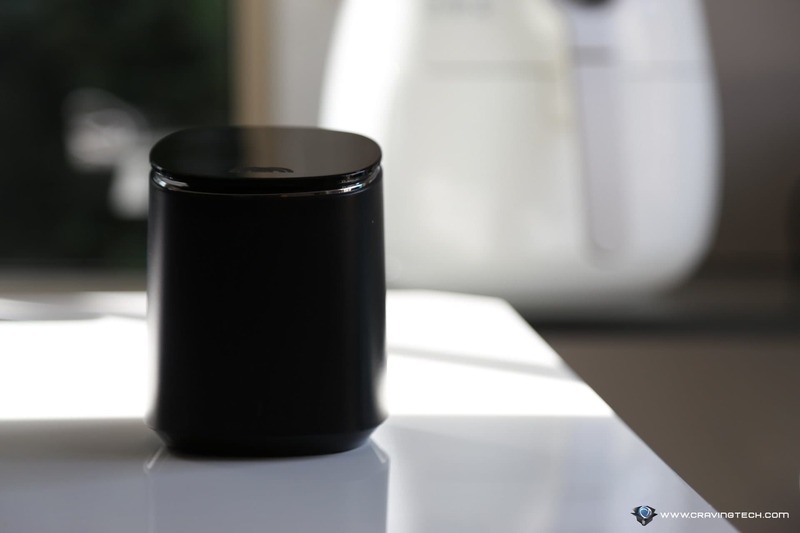 This can-sized looking router looks discrete enough to blend in with your room. 1. Unfortunately, it is not as fast as the Wi-Fi from my D-Link Viper Dual Band AC1900 modem router. 2. It would be good to know which node you’re connected with at any given time. 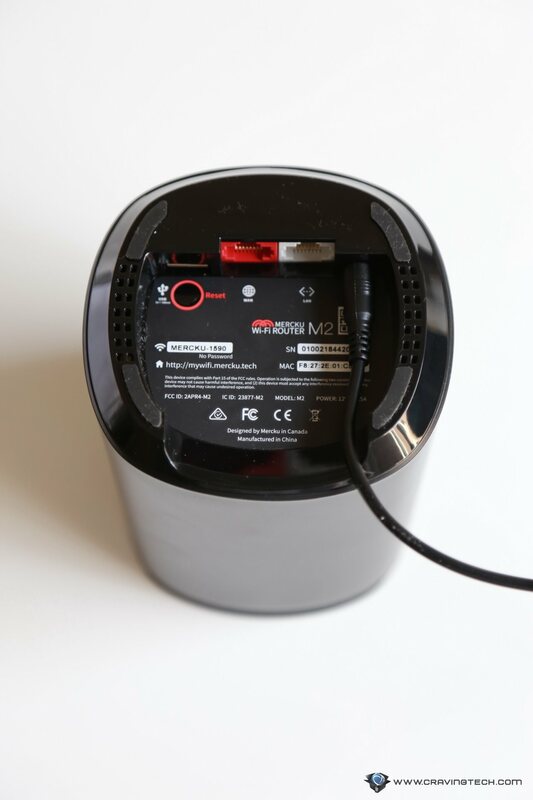 So if you are having Wi-Fi signal issues in your home/office and are looking for a solution, then this Mercku M2 Swarm system is your answer.